PROSECUTOR: Anthony M. Prieto, Esq. If you were arrested or issued a summons to appear in Westfield Municipal Court don’t panic. However, it is important that you hire good legal representation. At LS&P Lawyers our lawyers pride themselves on integrity and commitment to our clients. We have over 35 years of criminal defense experience under our belt. Having decades of experience has allowed us to not only be successful at trial but to build relationships with the courts, prosecutors and staff throughout the state. We provide our clients with aggressive yet affordable representation. Hiring a lawyer will cost some money upfront but in the end could save you thousands of dollars in fine, restitution and surcharges. Even more importantly, it can save you from having a criminal record. If you facing a criminal complaint, traffic offense (ticket), or DWI charge in Westfield we are available for a free consultation. Call us anytime, day or night. Westfield is a densely populated, affluent suburb of New York City. It has a booming downtown which draws in teens and adults from neighboring towns such as Scotch Plains and Garwood. Westfield has a high population of juveniles, with six elementary schools, two middle schools, and a large high school all within the borders of the town. Thus, there is crime commonly associated with teens present in Westfield, such as underage drinking, possession of marijuana, speeding, or other traffic violations. 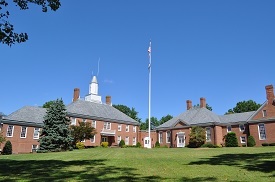 The Westfield municipal courthouse hears an average of 10-15 disorderly persons cases, as well as 20-25 traffic ticket violations & DWI infractions weekly. At LS&P Lawyers our clients are our number one priority. Having to appear in court can be overwhelming and scary. Don’t go at it alone. Let us fight for you in court. Contact us 24/7 at 908-709-0500. We will answer any questions you have.